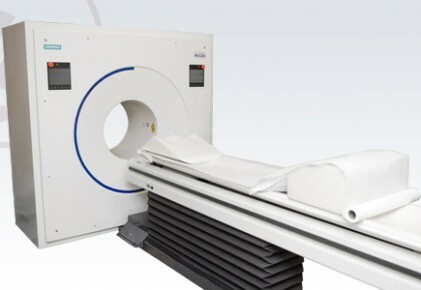 The Siemens Ecat Accel is a high-resolution PET scanner. The multi-detector ring, utilizing LSO detector crystal technology, includes both 2D and 3D acquisitions and reconstruction in static and dynamic modes. The Accel provides great versatility with clinical applications for cardiology, neurology and oncology.